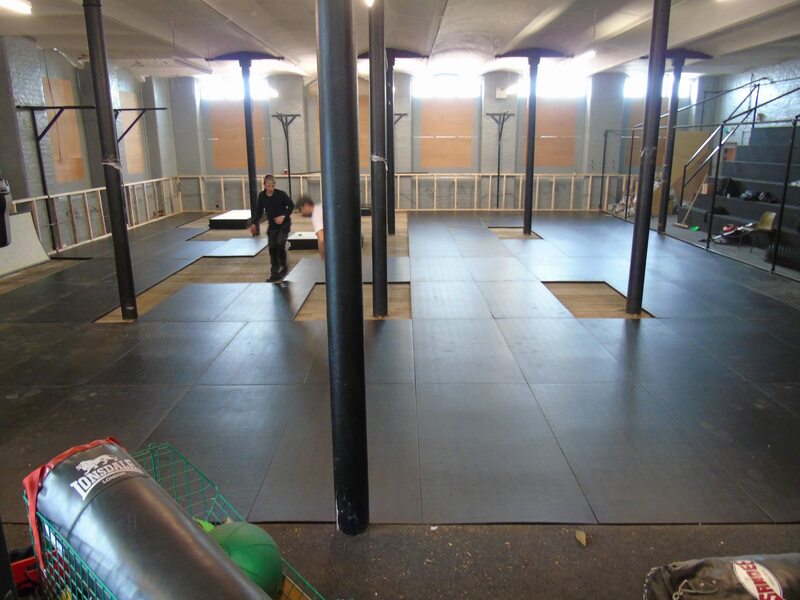 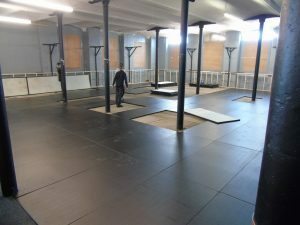 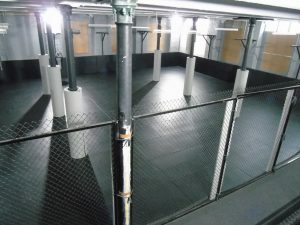 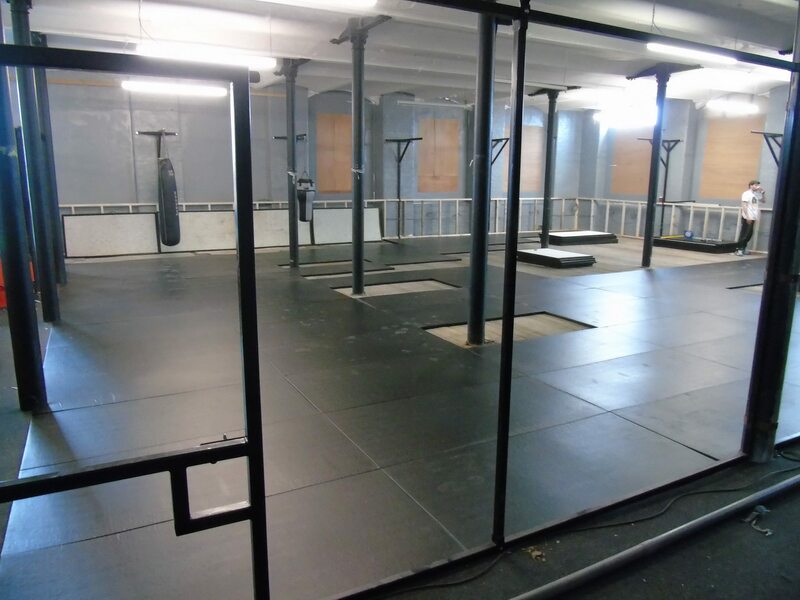 MMA Matting recently carried out a full DOJO refurbishment in Wigan for Elite Fitness Factory. 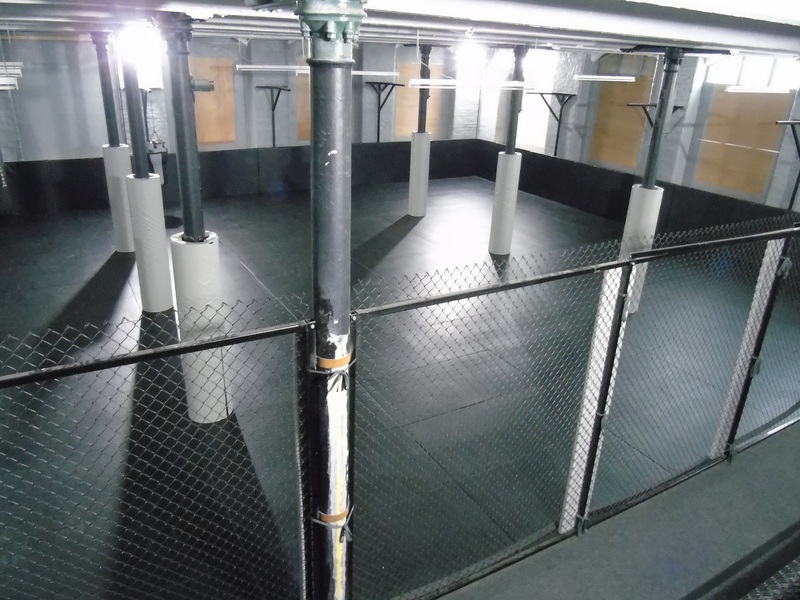 We were asked to completely re-fit their floor area of over 200 square meters and also add some much needed post protection. 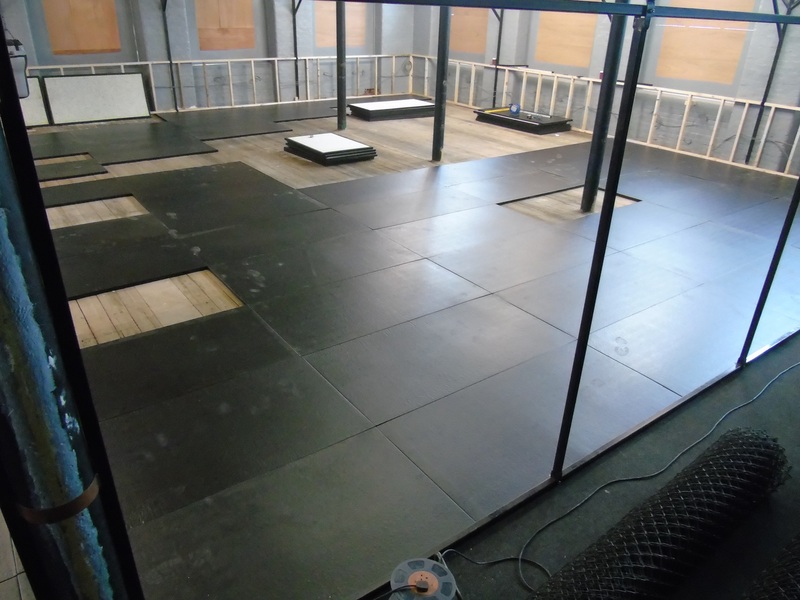 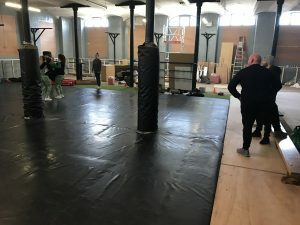 They opted for our Promat Combat Mats in black PVC. 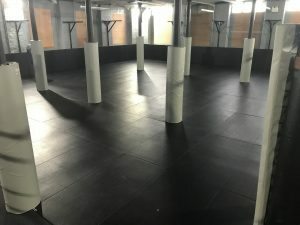 As you can see from the pictures there were plenty of posts to cut the mats around so a full installation service was a necessity. 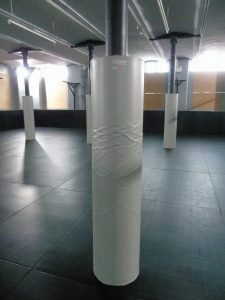 The post pads we supplied were our 75mm thick ones and 6 feet high in white. 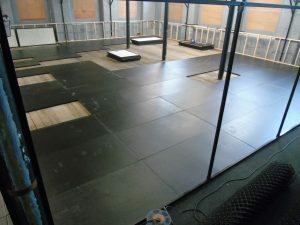 This makes a great contrast with the black mats. 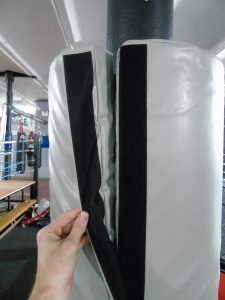 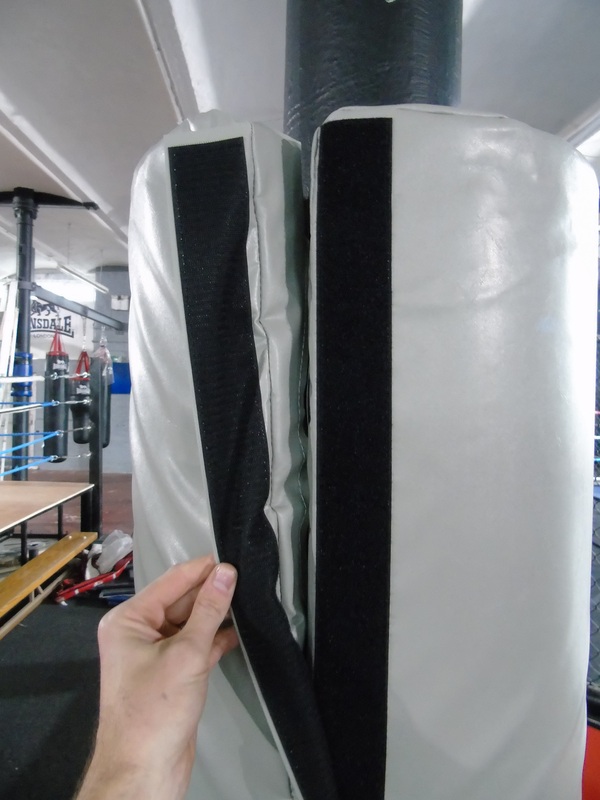 If you have a DOJO in need of some new equipment you can find all of our Contact details here.